I'm afraid I didn't like Daisies are Forever as well as Snow on the Tulips. I wasn't able to connect very well with the characters (too many at once to get to know anyone...and I never could figure out exactly why Kurt and Audra continued to hang with the group, even before their ulterior motives were revealed, nor why Mitch seemed to move so effortlessly through Germany without a disguise...and didn't work harder to get back to his unit). I also felt like some of the story wasn't edited well. For example: Gisela and Mitch enter a house and two blondes hug Gisela's legs (the little girls she is taking care of), but in the next paragraph or so, Mitch asks Audra (who watched the couple come into the house) where the girls are. She replies that they are napping, and Gisela says she will go lie down with them and sleep. Another: during a confrontation with Mitch and a German soldier, Mitch looks over to see that Kurt is just standing by with his arms crossed. I apologize if I'm being insensitive, but I thought Kurt was missing an arm? Even if just a figure of speech, it didn't make sense. Strange misses like this caused me to often shake my head or flip back a few pages to see if I'd missed something...or double check to see who was supposed to be speaking. I was really impressed with Snow on the Tulips, so my reaction to book 2 (which is a complete standalone) surprised me. The writing style seemed totally different and the story more far-fetched (although Liz's note at the end says the inspiration was combined from the actual stories of two different ladies). Eh, sometimes that happens with a book. 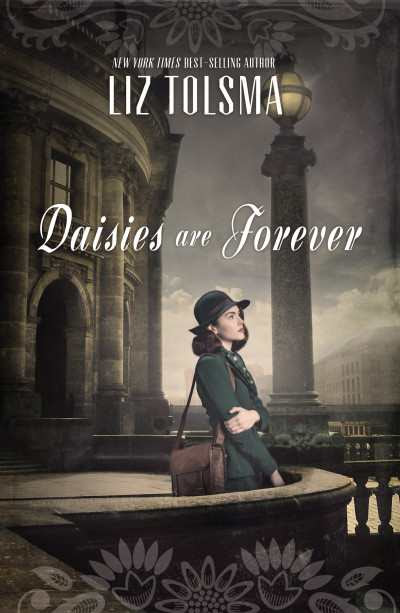 Unfortunately, Daises are Forever just wasn't much of a page-turner for me. If you want to read an exciting, couldn't-put-down book of Liz's, pick up Snow on the Tulips. Thank you to Liz and Thomas Nelson through Litfuse for sending me a copy to read and review!